The First Catholic Slovak Ladies Association is proud to announce the selection of Elizabeth Valent from Franklin, WI as our 2013 Fraternalist of the Year. FCSLA has sent her nomination to the American Fraternal Alliance to be considered for national recognition. The 2013 American Fraternal Alliance Fraternalist of the Year will be announced and honored at the 127th annual meeting to be held in Hollywood Beach, FL in September. Elizabeth (Betty) has been married to Joseph Valent for 41 years and they have two grown children Katherine & Joseph Jr. All are members of branch S-376 and Louise M. Yash Wisconsin District. 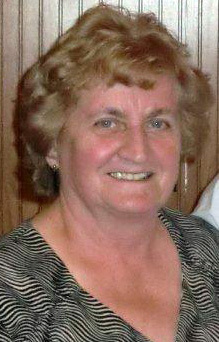 Betty was nominated by fellow branch member Kathleen M. Bozek who says that, "Betty is highly deserving of this award." Betty Valent has been called the backbone of the Slovak Community in her area of Milwaukee, WI. She works hard all year long recruiting and organizing volunteers for the various events that she is involved with. Months of work goes into each event. She makes sure the announcements go out for each event and finds sponsors to keep the costs of the events down. She is currently recruiting volunteers to help prepare and serve the Slovak food for the 83rd Annual Slovak-American Day Picnic. She has been working on this event for many, many years and this year is no exception. She also makes sure that there is a Mass at Noon and that everything needed for the mass is there. And what would the Holiday Folk Fair be without the leadership and guidance of Betty. A tremendous task she has involves not only introducing thousands of people to the Slovak food and culture she also makes sure they have enough to feed everyone. She loves talking to people and helping the attendees recall their Slovak ancestry of their "Babka" (grandmother in Slovak) from years past and what the Slovak culture shares by ways of their unique cooking and baking. Not only is her Slovak heritage important to her, but so is her Catholic faith. Betty organizes the beautiful and meaningful Annual Pilgrimage to Holy Hill. This is an annual event and tradition held at the Basilica of the National Shrine of Mary Help of Christians at Holy Hill grotto. This event is so sacred and special to the Slovak people. This year will be the 98th year of the event. It is held every Labor Day. The Slovaks actually have a special sign at the foot of the Stations of the Cross. Slovaks have made this pilgrimage since 1915! A beautiful statue is carefully carried by youth dressed in a Slovak costume or blue and white in honor of our Lady. Betty actually stores this statue presently in her home along with the banners. She again arranged all of the making of the announcements. She takes any calls about the event. She organized the Stations of the Cross, saw to it that the young girls wore a sprig of Rosemary in their hair and wore a ribbon sash in honor of Mary. She sees to it that a Slovak priest is the celebrant. She arranged for the reading and songs to be done in Slovak and that an organist was hired to help with the music at the liturgy. Everything Betty is involved with helps bring the Youth and Adults together. She promotes leadership and education to all by her example & love of her Catholic faith and Slovak Heritage. She takes the time to talk to people, really talk to people and help them discover a whole new world. It takes a very special person to be willing to take the time to teach the youth about their faith and heritage. By being willing to talk with them and teach them they want to become more involved. By the youth becoming more involved they are being taught to work together with the adults to continue to promote their Catholic faith and their Slovak heritage. They also learn that the adults have a lot of good information to offer them and therefore Betty has created a mentorship program without even realizing it. FCSLA congratulates Elizabeth Valent for receiving this well deserved recognition. We are very proud to have Elizabeth represent us as our 2013 Fraternalist of the Year.